All the comic books featured so far in this series can be acquired fairly easily – we always recommend Orbital Comics in Great Newport Street, and Gosh! in Berwick Street is another fave (more of them later). The Cartoon Museum also has an excellent bookshop. Today, however, I'm introducing an element of sport into my Cartoon & Comic Book Tour of London. The thrill of the chase, if you will. You're going to have to browse for this one. “I’m looking for what I didn’t know I wanted” (the Daily Constitutional definition of browsing). Jackson’s illustrations (“with supporting text by W. Crawford Snowden”) covered a different area of London each instalment. 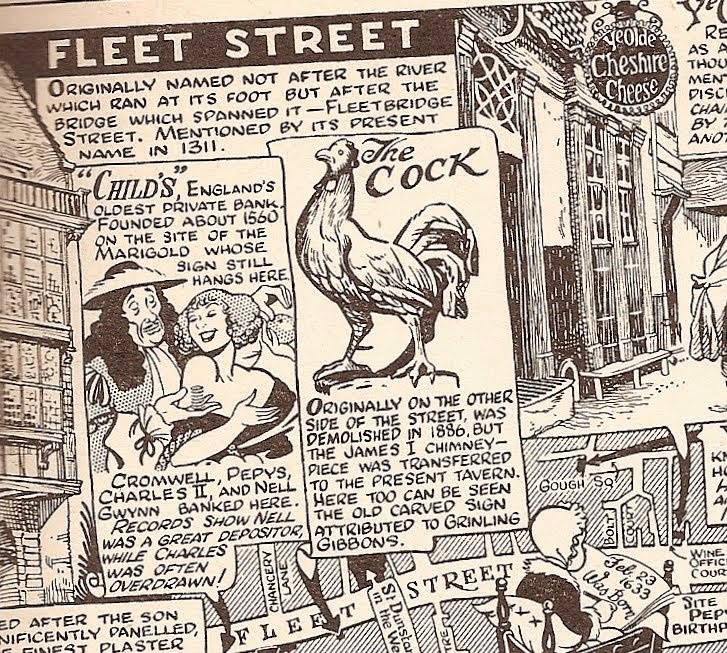 Succinct and revelatory, his drawings bring London’s history to life with a mixture fact, fable and cartoon fun touches (such as King Charles II snuggling up to Nell Gwynn and her orange on the Fleet Street section, illustrated here). 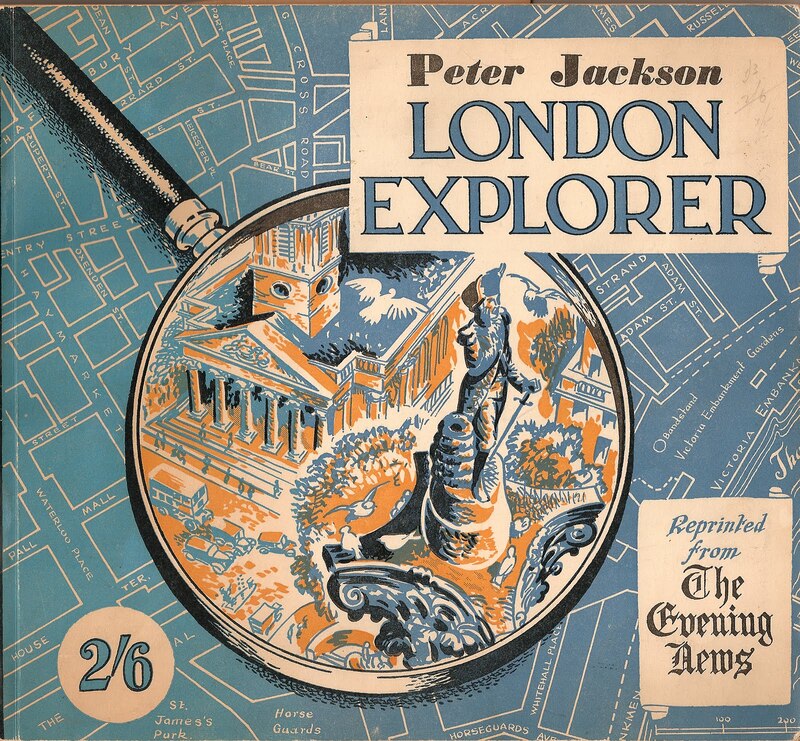 Jackson’s encyclopaedic knowledge of London grew from his love of the metropolis and he was a renowned collector of historic prints, maps and London ephemera. 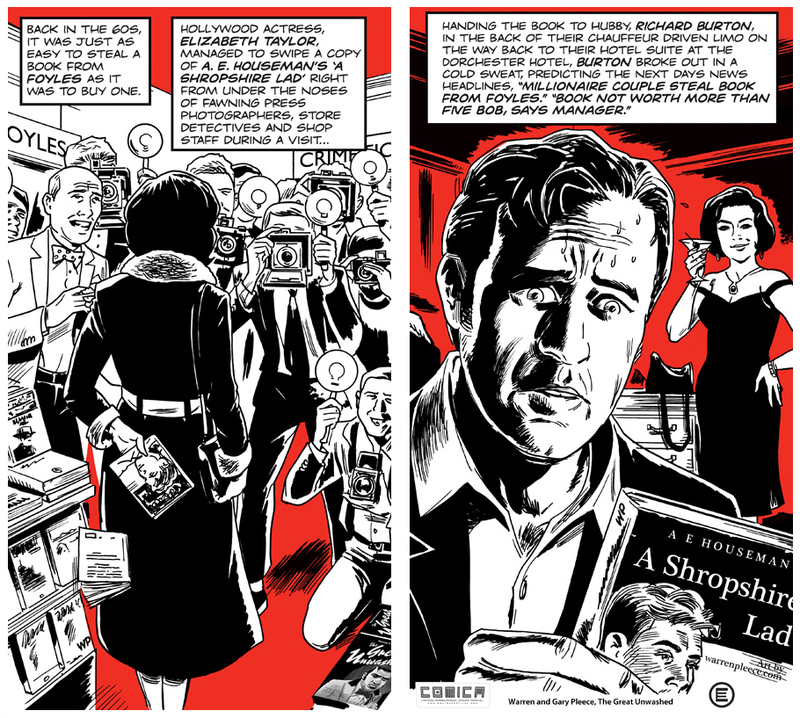 He drew for the Evening News from 1940 to 1980 and his other series include London is Stranger Than Fiction and Somewhere to Go. He passed away in 2003. The panel above is the work of Warren Pleece. Warren started drawing comics with his writer brother, Gary in the late 80s and 90s and then went on to working as an artist on numerous titles for the Vertigo imprint of DC Comics. His latest books include The Great Unwashed and Montague Terrace, published by Jonathan Cape. 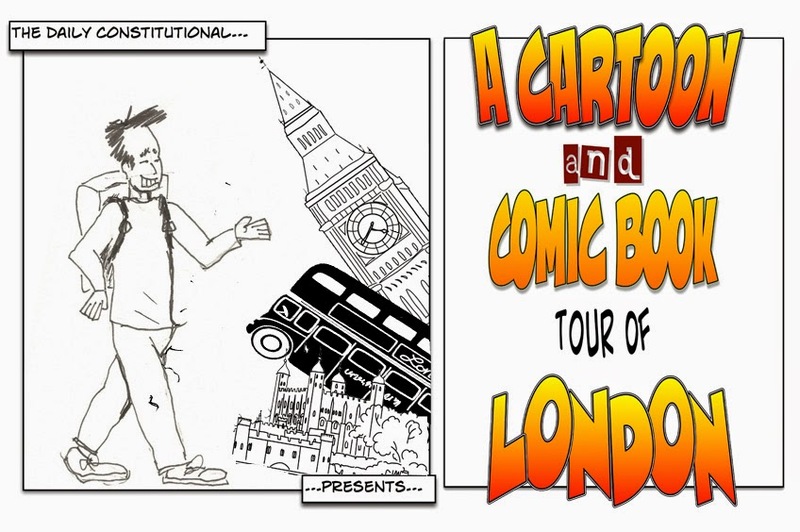 There are eight more stops to go on our Cartoon & Comic Book Tour of London! Panel 13 will be posted later this week!